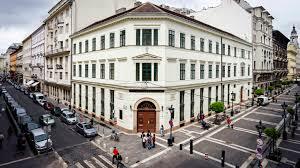 As many of our New School friends and alumni are also alumni and students of the Central European University in Budapest, we are eager to share with you this letter from Michael Ignatieff, President and Rector of CEU. You can sign the petition to save the university here. CEU is demanding an immediate correction to falsehoods about our institution published this afternoon by origo.hu. The claim that we do not have program accreditation is entirely false. The claim that we have failed to meet our obligations regarding data to official public registry is also false. Our master’s and doctoral programs are accredited with the Hungarian authorities as well as by the State of New York and the University’s accreditation is overseen by the Middle States Commission, which certifies American institutions like Princeton and UPenn. More importantly than these false accusations, legislation has been proposed to the Hungarian Parliament that, after careful legal examination, would make it impossible for CEU to continue its operations as an institution of higher education in Hungary authorized to grant degrees accredited in both Hungary and the United States. As we see it, this is legislation targeted at one institution and one institution only. It is discriminatory. It strikes at the heart of what we have been doing at CEU for over two decades. We are in full conformity with Hungarian law and have been for more than two decades. I want you, the dedicated faculty, staff, and students of this University, to know that the Board of Trustees and the administration will contest this legislation through every means possible. Please know that the legislation states that enrolled students can continue their studies and receive their degrees. Let me assure you that, under all circumstances, CEU will continue its operations. It is time for our community to gather together to defend our institution. We urge you to communicate respectfully to your members of Parliament, to your friends, to our partner institutions, universities, and sympathetic colleagues in Hungary and around the world, that CEU is a proud Hungarian institution, a university whose freedom is in danger. A university that provides added value to its students by awarding U.S.-accredited degrees as well as Hungarian-accredited degrees. A university that is private and independent, funded by a generous endowment but independent in its academic activities. A university that contributes over 1 billion HUF annually to the Hungarian economy in taxes. A university that is deeply embedded in Hungarian academic life, collaborating with other institutions of academic excellence in Hungary from ELTE to the Hungarian Academy of Sciences, sharing research projects, teaching, knowledge, and enabling student exchanges. A university that attracts prestigious grants from the European Union and other bodies, in competition with all other European research institutions. These are just a few of CEU’s rich contributions to Hungary and the world. Any legislative measure that makes it impossible for CEU to operate in Budapest would destroy this fabric of cooperation with Hungarian institutions and the Hungarian public and would damage Hungary’s justified and long-held reputation as a center of innovation, academic excellence, and scientific inquiry. CEU has no other desire than to remain in Budapest. As our community comes together to defend the freedom of our institution, I invite you to a community forum tomorrow, Wednesday, March 29 at 12:45 in the Auditorium.